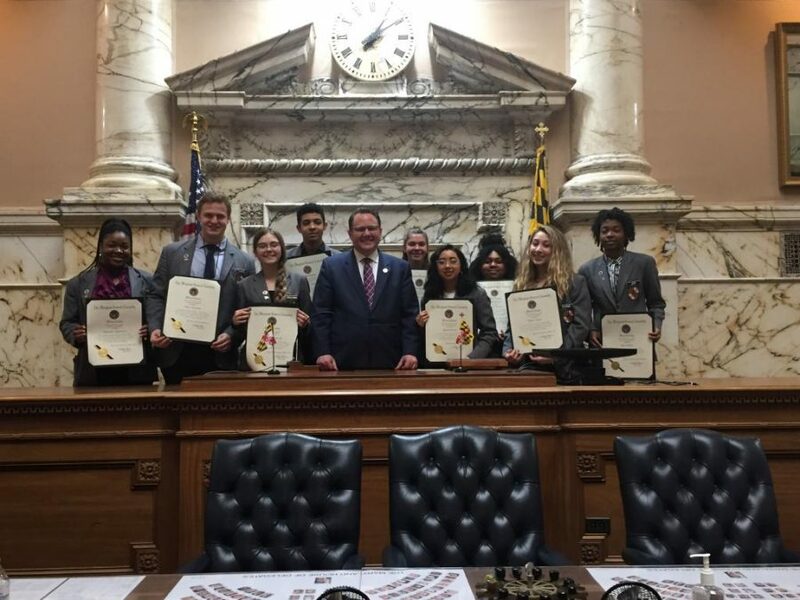 Senior Khava Tsarni is representing Watkins Mill High School and Montgomery County Public Schools as a student page in the Maryland General Assembly this year. 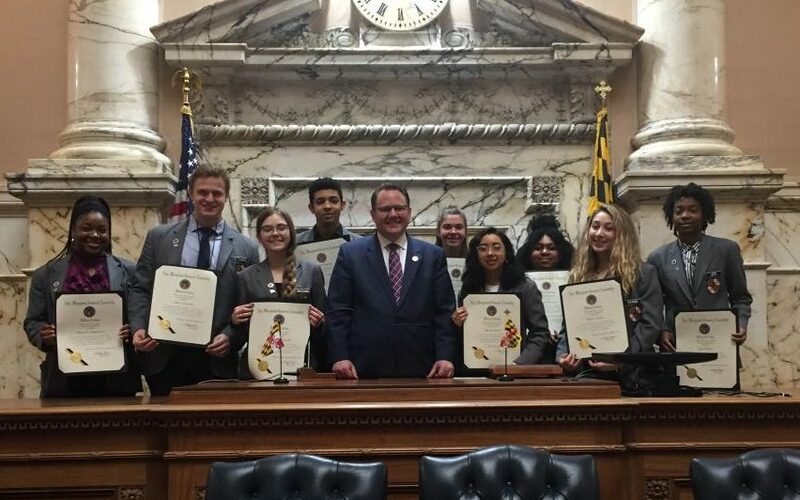 Each year, 105 Maryland teens are selected to represent their school and county in either the House of Delegates or the Senate in Annapolis. Tsarni was selected by the county to participate in a program that provides students experience with local legislation. Tsarni and other students experienced the process behind how common laws get passed. “I’m really interested in government operations and politics, I wanted to get to know our own representatives and make beneficial relationships for the near future,” Tsarni said, who testified in favor of a student voter registration bill mandating voting drives for high school students throughout Maryland. Tsarni plans to attend the U.S. Air Force Academy in Colorado to major in Electrical Engineering, Russian, and possibly Public Policy as well. She wants to enter the engineering field, but also expressed her interest in public service. Tsarni is involved in both county and state government organizations, along with independent community groups and the Board of Education. She is also the president of multiple clubs at the Mill and currently employed at the U.S. Army Research Laboratory. “It was a great experience… getting to know the delegates of Montgomery County, learning which laws they focus on and what, as a student, I can do to help them,” Tsarni added. The student page program gives students a chance to practice their confidence, cooperation, and collaboration skills. The program helped expose Tsarni to different opportunities, including meetings with representatives around Maryland. Interested students can apply during the beginning of their senior year. Those chosen are financially compensated for serving in the House of Delegates or the Senate for two non-continuous weeks. They perform tasks like updating the bill books of members, handing out materials, answering phone calls, greeting visitors, delivering messages and running other errands. “It was very cool how all of these influential people are just normal like me. They’re all people with lives of their own, it was very nice being around people doing great work,” Tsarni said.